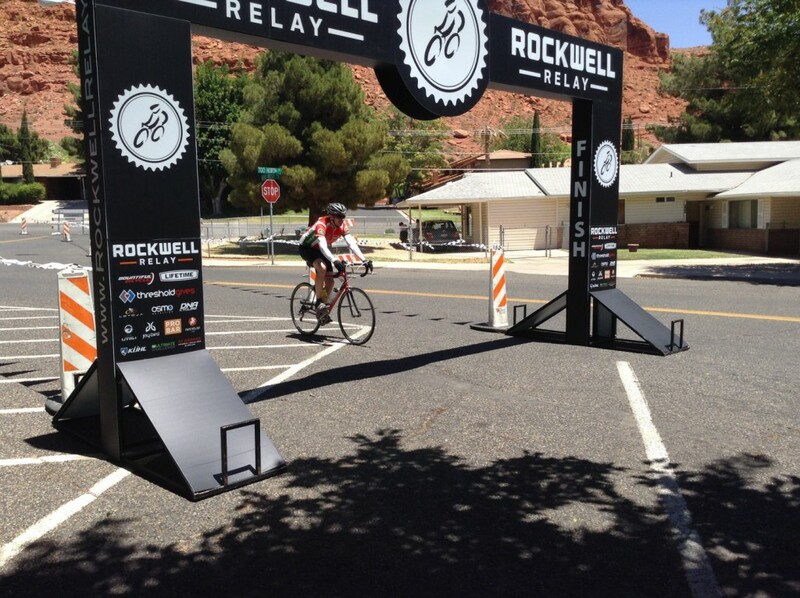 ST. GEORGE – On Saturday afternoon at Bluff Street Park, teams of road cyclists rode across the finish line of the Rockwell Relay bike race, a 525-mile relay course on the scenic back roads of Utah beginning in Moab on Friday morning and finishing in St. George on Saturday afternoon. 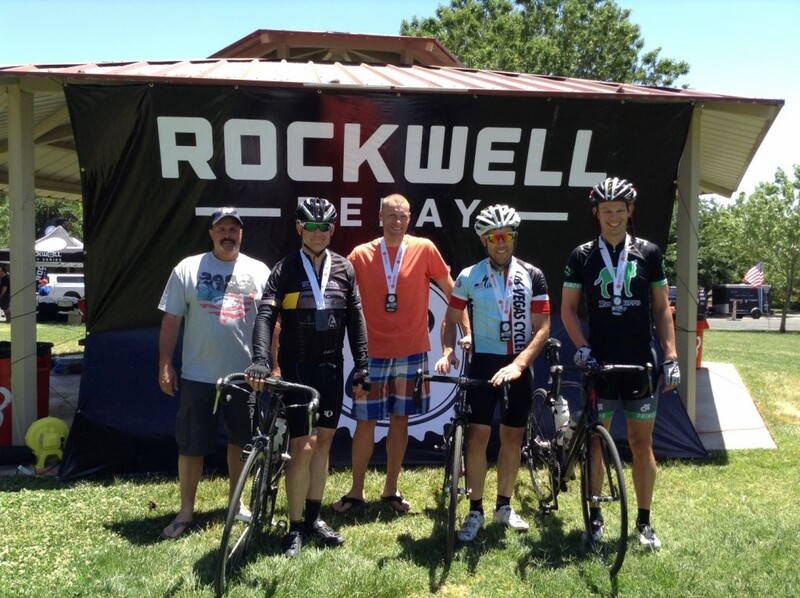 Now in its fifth year, the Rockwell Relay is the brainchild of Dan Stewart who – along with brother Cort Stewart, co-owner and race day director, and their families – have nurtured and grown the race out of a love for cycling and for the beauty of Utah, Cort Stewart said. 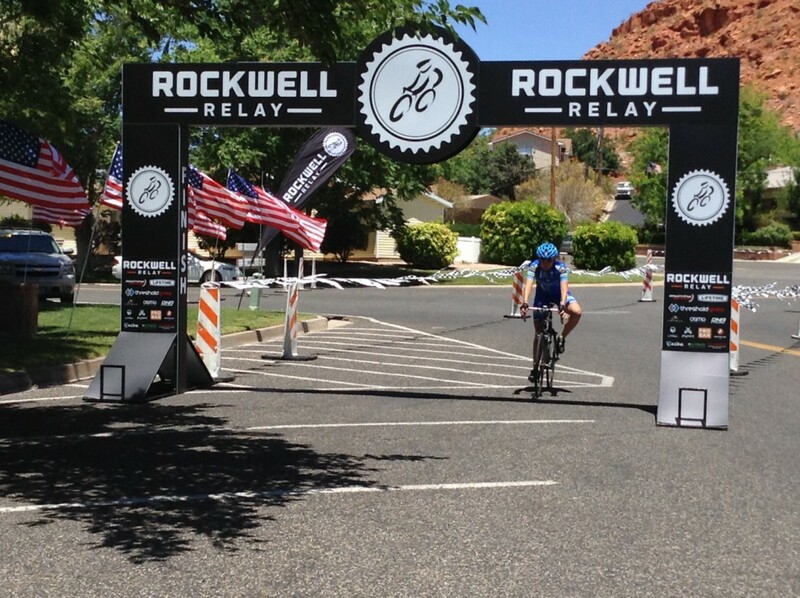 The race takes teams of four riders in several different categories from elite teams, all male teams, all female teams, co-ed teams and teams of casual riders, through 12 legs of the over 500 mile course. Each rider rides three legs – varying in distance from 30-55 miles – of the course, race co-founder Tyler Servoss said, while the other team members ride in a support vehicle leap frogging to each exchange point. 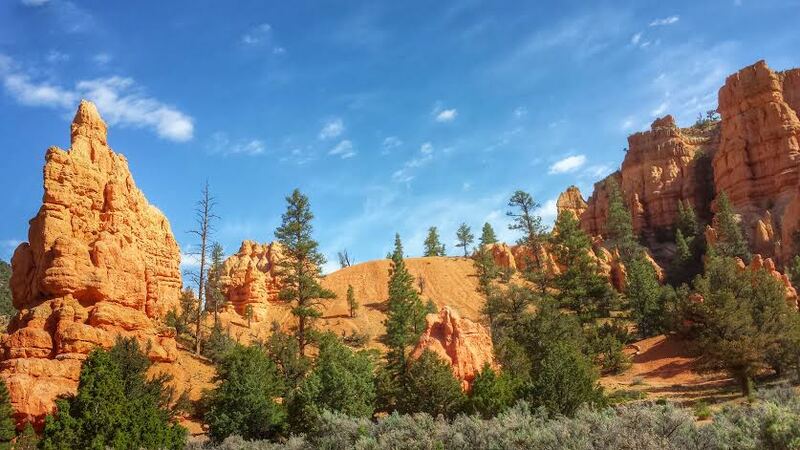 The course, which begins at an elevation of 4,020 feet and finishes at 2,687 feet, winds on Utah’s scenic back roads through national parks and across some of the “most dramatic and beautiful scenery around,” race announcer, Dave Towle, said. 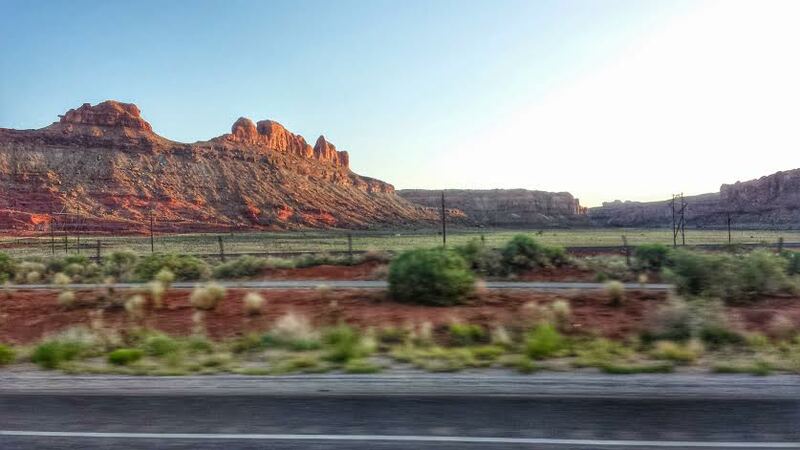 Matt Polk of Team Imaginary Friends, a team from Southern California, has been to Utah several times to rock climb and mountain bike but said he was viewing the state from a road bike for the first time. 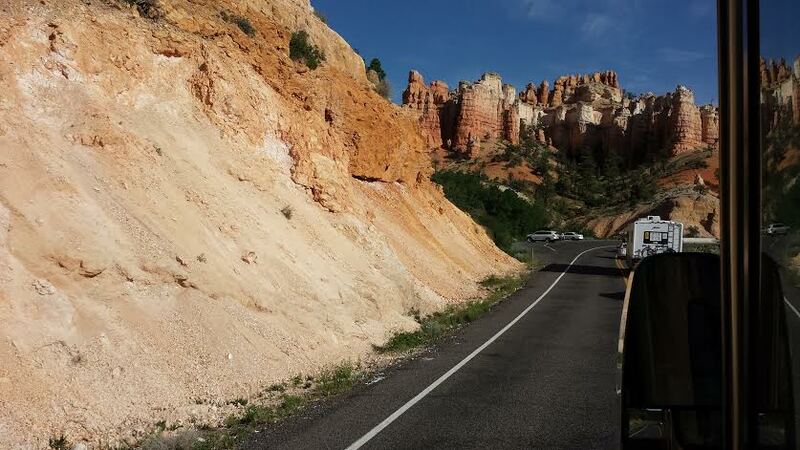 “The drivers were mostly friendly and the national parks were gorgeous,” Polk said. 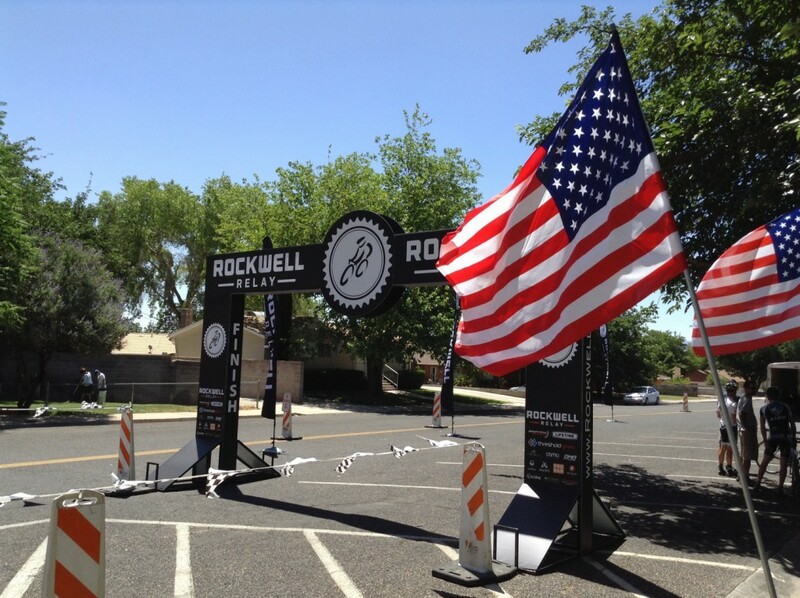 The beauty of the course is what drove the Stewart brothers to create the Rockwell Relay in the first place, Cort Stewart said. But, for all its beauty, the course is also brutal. 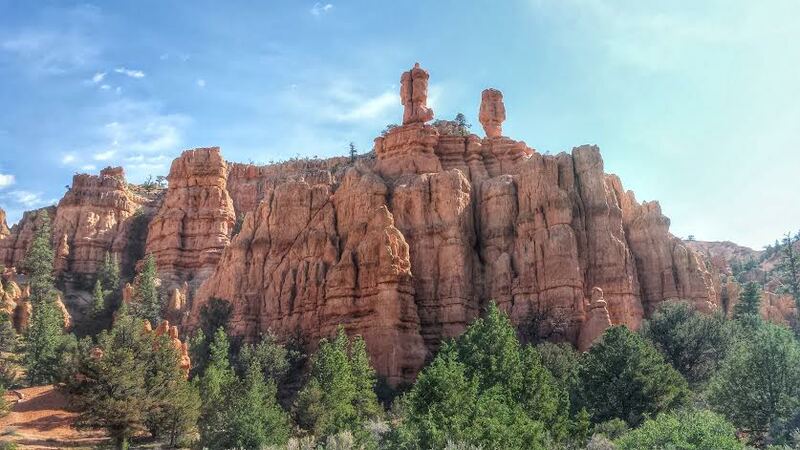 Though the course has a net elevation loss of 1,333 feet, there are several huge climbs – the highest topping out at 10,630 feet – and weather can be unpredictable. The course has seen frost at the high elevations and searing heat all in one day, said LeAnna Stewart, co-owner of the Rockwell Relay race. 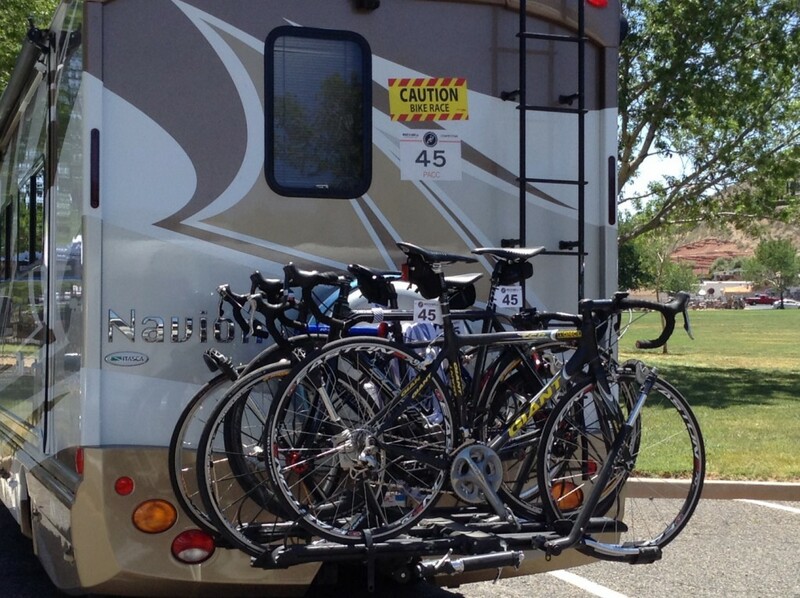 Sleep deprivation is also an issue as riders rarely sleep even when they are in the support vehicle. This year’s major race challenge was the wind. 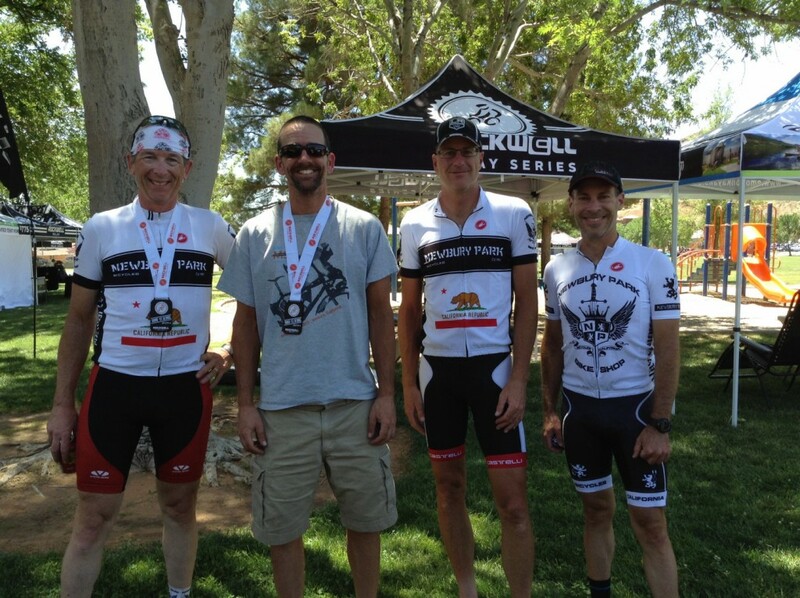 St. George resident Paul Jewkes, digital marketing director of St. George Everything from A to Zion, fielded a team of riders for this year’s event and echoed the other racers regarding the challenge of the windy course. 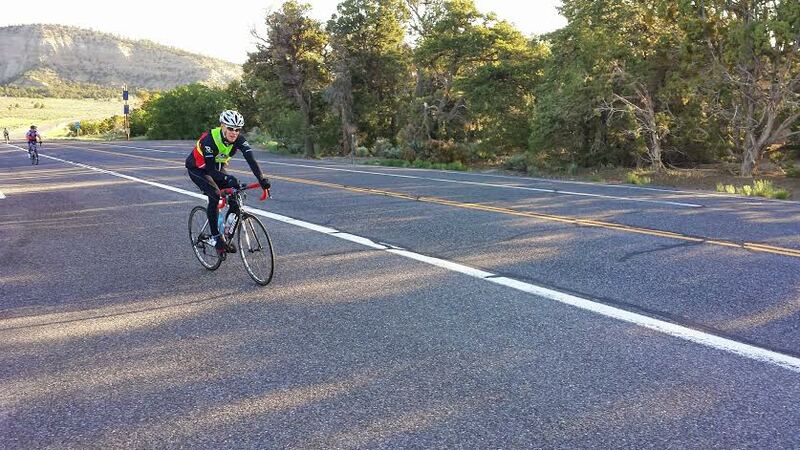 In addition to the wind, there was also one accident in Cedar City, a cyclist was hit by a car and ended up with a broken collarbone, Cort Stewart, said. Race organizers insist that incidents like that are rare and that they work really hard to keep the course safe, LeAnna Stewart said. 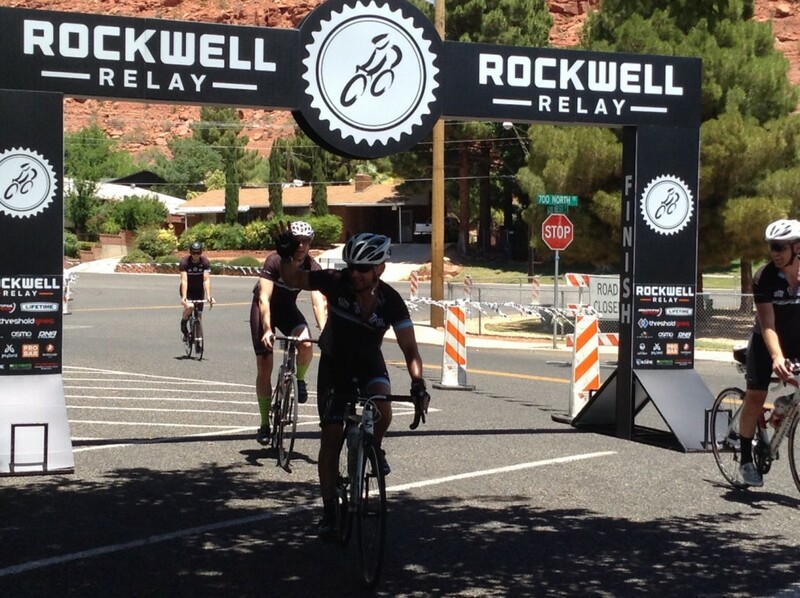 Despite the wind, heat and grueling course, a new record was set. 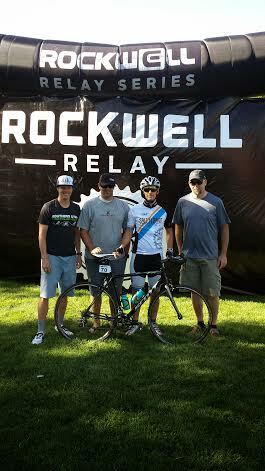 Team Intermountain Live Well, an elite team focused on promoting health and fitness in the state, finished the course with a time of twenty-four hours and thirty-five minutes. It is that sense of accomplishment, LeAnna Stewart said, that brings racers back year after year. 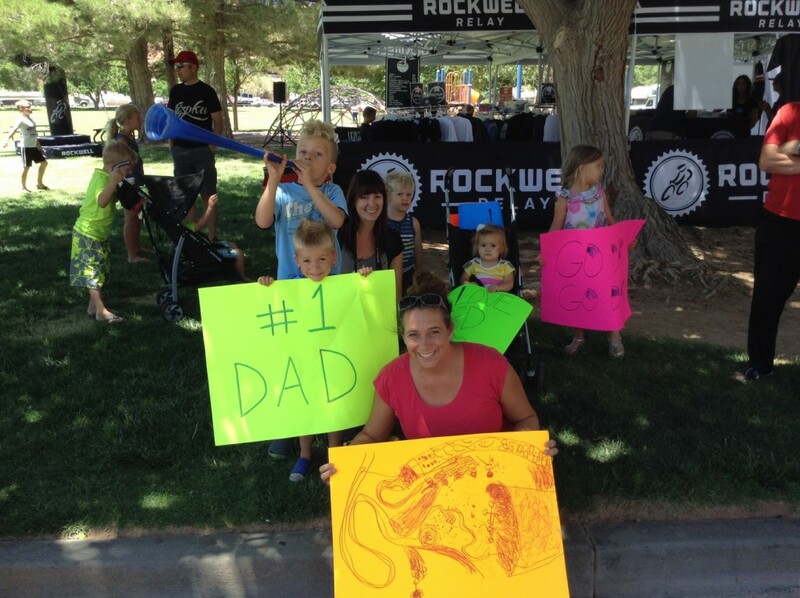 That, and the organizers commitment to maintaining a family and community feel to their race. Cort Stewart still personally handles all the calls from the riders and several members of the organizers families are involved in the race. 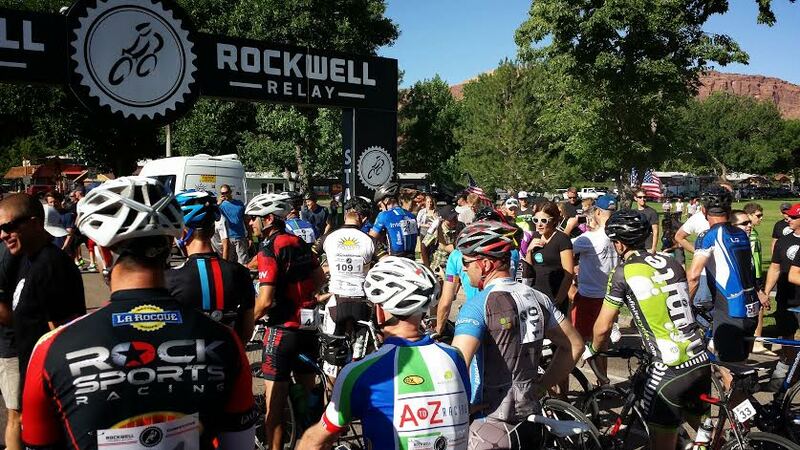 Tyler Servoss, who also co-founded the relay with the Stewarts, has watched the race grow from 20 teams in its first year to 145 teams this year and hopes to see that trend continue. Organizers were quick to express their gratitude to the City of St. George and look forward to continued partnership with the city. When asked whether they would return to ride again, Team Imaginary Friends were unsure. For now all they want to do is sleep. 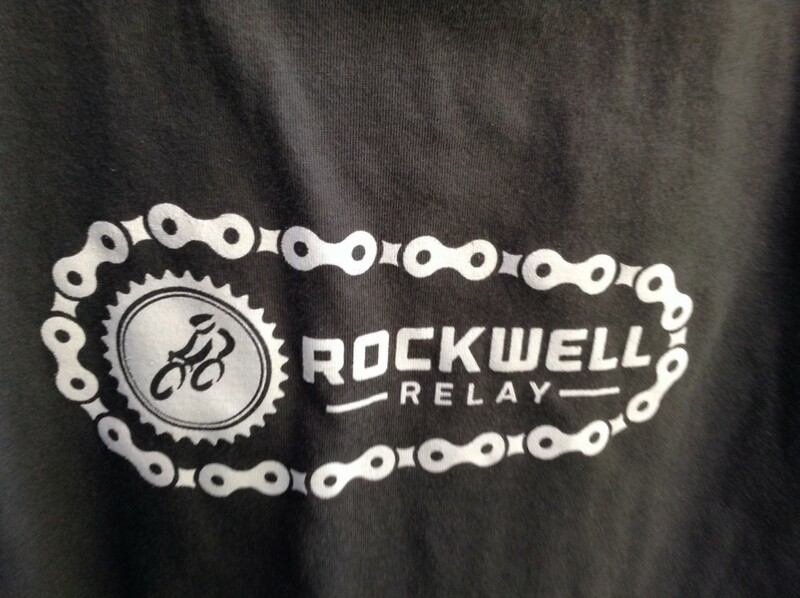 Registration for the 2015 Rockwell Relay will open on Jan, 1, 2015.